At least 45,000 people are expected to crowd Boston Common for Saturday's Boston Women's March For America, according to the event's official Facebook page. It's one of hundreds of demonstrations expected to take place simultaneously around the world on Jan. 21, the day after President Trump's inauguration. "I’m getting emails from all my friends saying 'Are you going to be there? Is there any way we can find each other?' Probably not," says photographer and University of Massachusetts Amherst professor emeritus Liane Brandon. "I think it’s going to be massive. Massive." 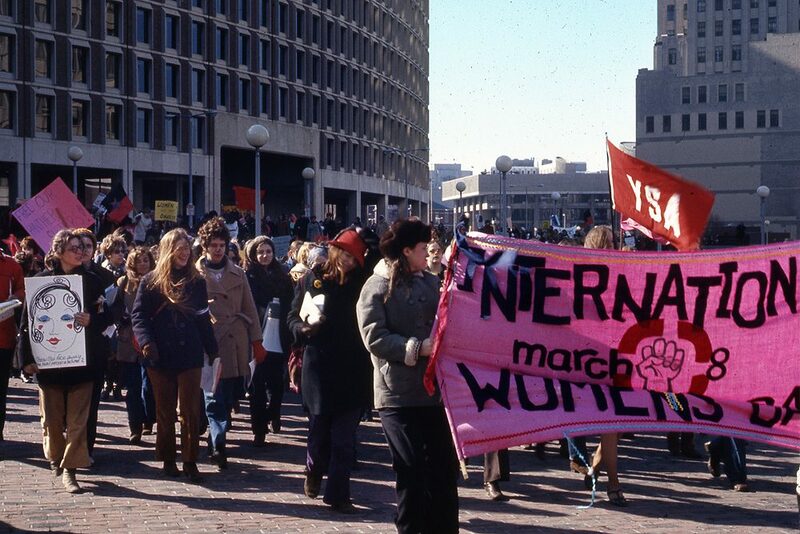 This won't be the first time Brandon marches on Boston Common for women's equality. 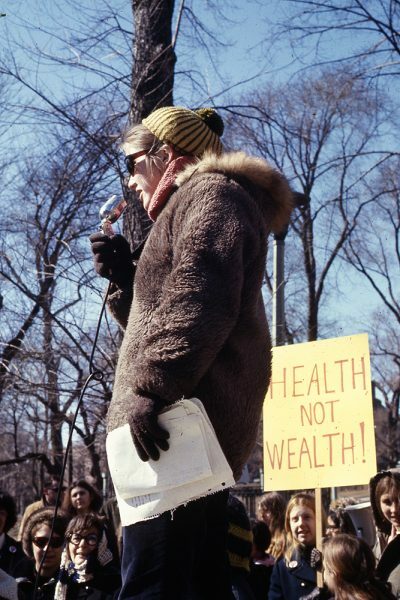 More than 40 years ago, she was a member of Bread and Roses, a women's liberation organization with roots in Massachusetts. "We were considered extremely radical when we really wanted things like equal pay — I mean, some things that we still want," Brandon says. 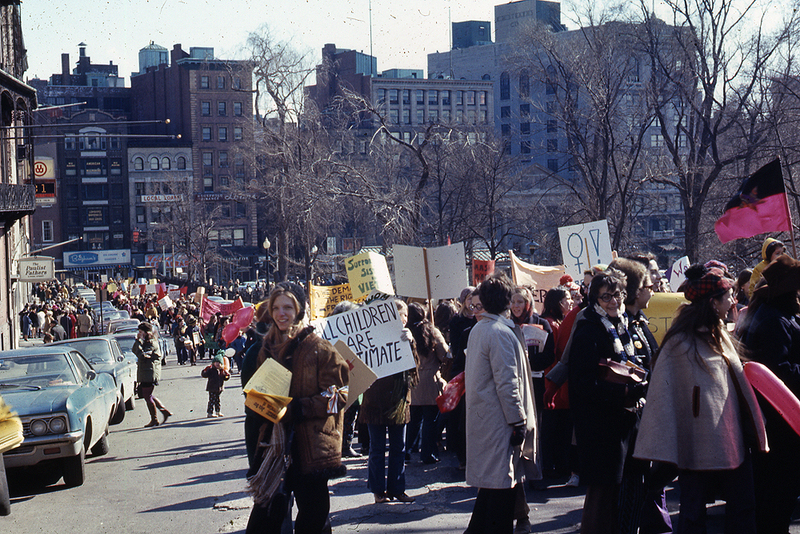 While cleaning out her closet two years ago, Brandon says she found a small box full of slides from an International Women's Day march held on the Common on March 8, 1970. 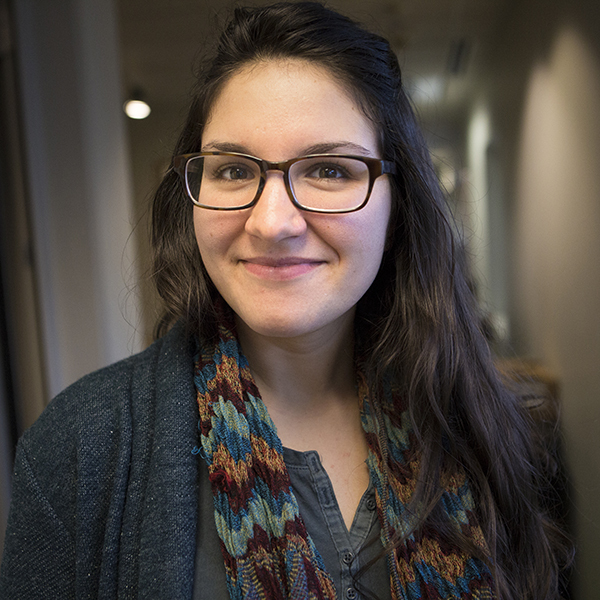 "I scanned them and decided to put them on my website just because I thought people had forgot about this," she says. 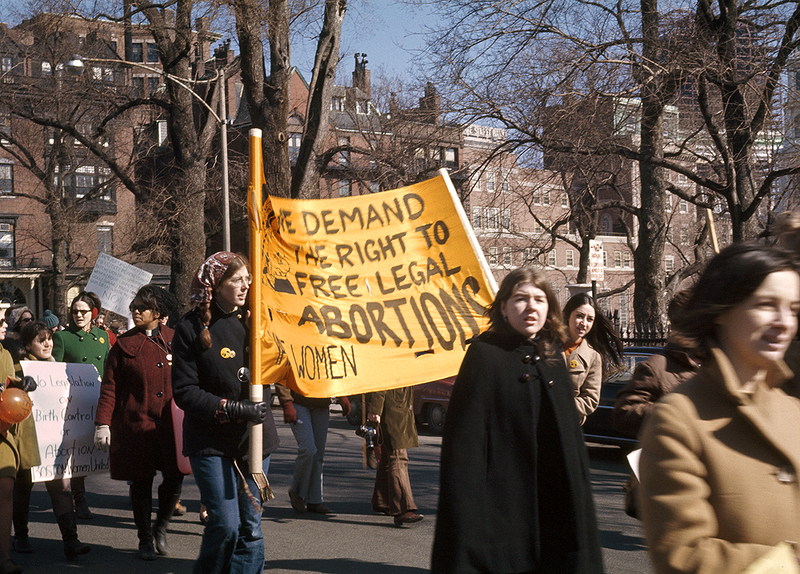 "I don’t think people thought the women’s movement was that strong and that visible back in the '70s in terms of a march, a major demonstration. I mean, we weren’t just a fringe group. It was very powerful at the time but not covered very much in the press, except as just something to be kind of sneered at." 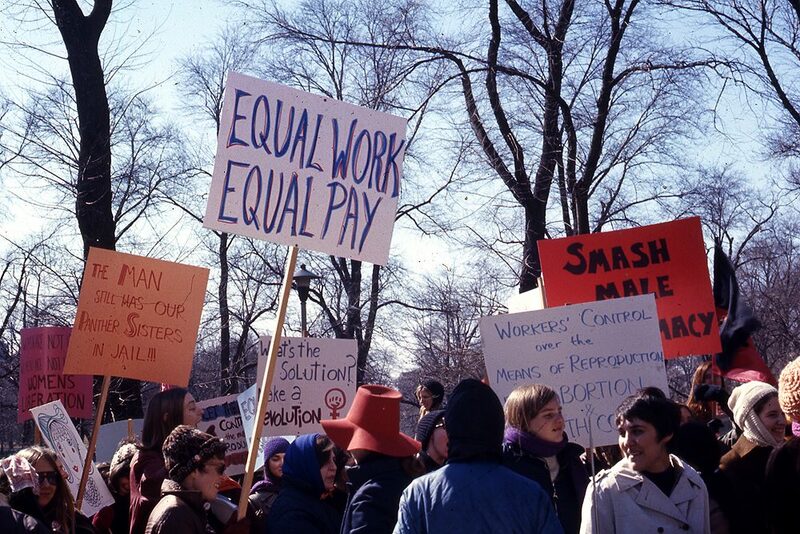 The Women's Liberation Movement — as it was called in the early days — advocated for issues such as child care, equal employment, reproductive rights and the prevention of violence against women. At the time, Brandon says, these ideas weren't taken seriously, even by the media. "A lot of the imagery was of really dramatic things. Even though bra burning happened once at a Miss America contest, and it was basically street theater, most of us got labeled 'bra-burners,' and that was the kind of imagery that was shown in the press," Brandon remembers. Brandon says today women are marching for many of the same issues, but there's a greater awareness around them. "I think that women’s issues are at the forefront now," Brandon says. "I don’t think we’re a sideline issue, as the march this weekend will show. This is a major, major political statement." But that's not the only thing that's changed. Brandon says she first became involved with Bread and Roses because she saw a flyer in Central Square. Then, she decided to go to a meeting. 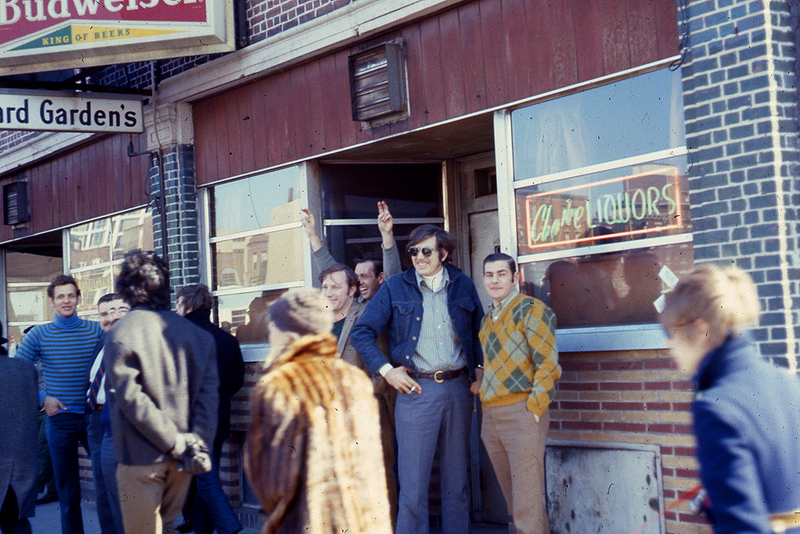 "Don’t forget there were very few media outlets that were available to people in those days. There was no internet, no cable. There were only the three major networks in public television, so there were very few ways to get the word out about what was going on. If you weren’t covered by a 30-second something on the radio or the major networks, the news of what was happening would never get out which is one of the reasons why I made some of the early films of the women’s movement." The 2017 women's marches were primarily organized through Facebook events, and in the days and weeks leading up to the march, women have been sharing their stories and pictures of their shoes using the hashtag #MarchingShoes. Even then, coverage of the march has included controversies, reminiscent of those faced by early women's liberation movement. It's original name ignited a public debate about white privilege in activism. And views on abortion sparked tension between potential attendees. As the event grew, some doubted whether it could grow into a greater movement. "I think a lot of critics of the women’s movement are always looking for divisiveness," Brandon says. 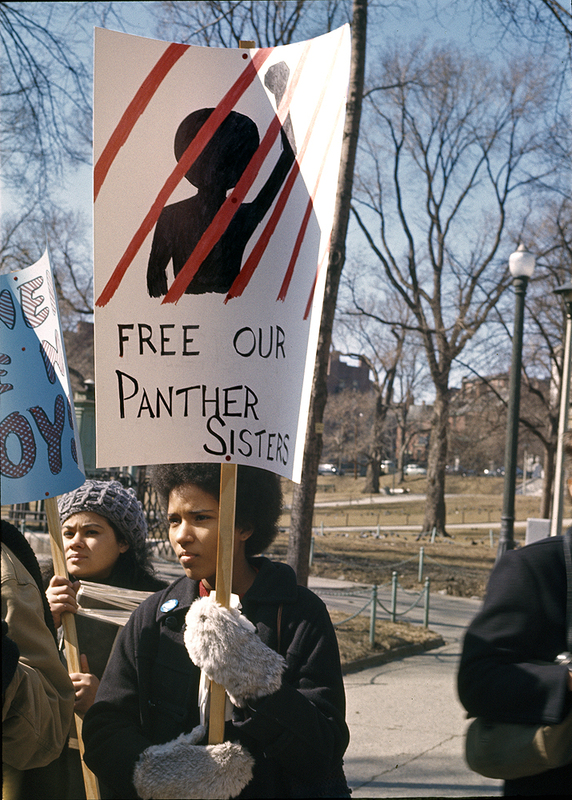 "It’s very hard to classify the women’s movement as one great big unified voice. 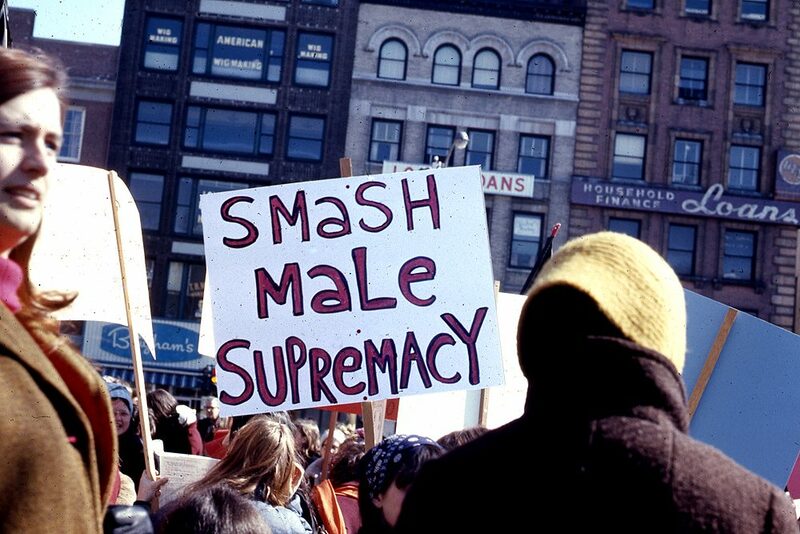 I think there are many voices in the women’s movement." She remembers how so many of the early groups were born of other organized movements, like those against the Vietnam War. Brandon says women in these groups learned how to organize but still felt "marginalized." 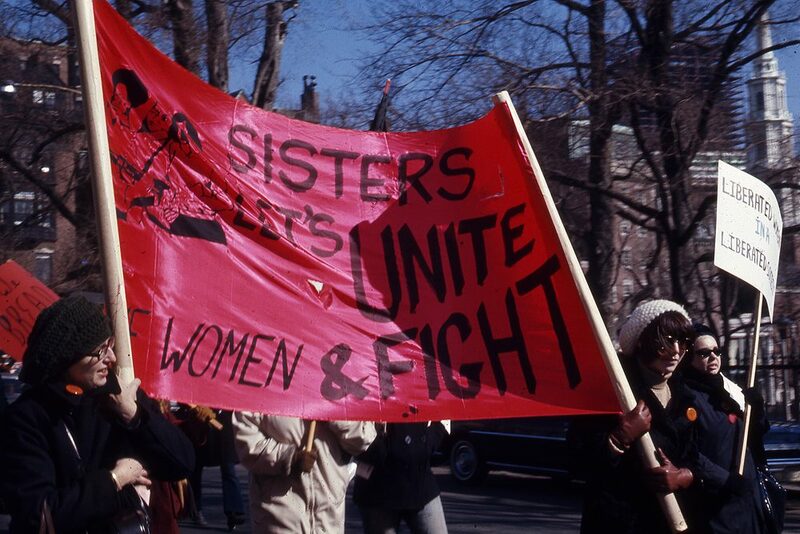 "A lot of women who had been in the anti-war movement started thinking about women’s role in the culture." Taking photos at the march was another way for Brandon to document what was happening from the inside. She remembers feeling "exhilarated" standing in that crowd in 1970. "In those days, there was a certain amount of stigma about being in the women’s movement," she said. The march was "the physical manifestation that these are women coming together, and it’s not just a handful of bra-burners."